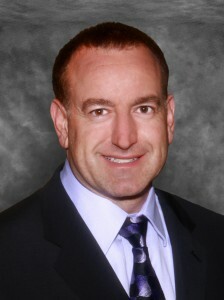 Michael J. Coleman, M.D., F.A.A.O., is a Board Certified Ophthalmologist. He graduated from the University of Texas Southwestern Medical School and went on to complete his residency training in ophthalmology at the esteemed Kresge Eye Institute in Michigan. Dr. Coleman’s subspecialty training was completed at the internationally-renowned Wilmer Eye Institute at the Johns Hopkins Hospital in Baltimore, Maryland. Dr. Coleman is a highly-skilled and experienced surgeon specializing in Laser Vision Correction (LASIK and PRK), refractive cataract surgery (toric and presbyopia correcting IOLs), corneal transplantation, and glaucoma surgery, and has the expertise to deal with the most complex cataracts. He has performed corneal transplantation to restore the vision of patients with Fuchs’ corneal dystrophy (partial thickness transplants [DMEK and DSEK]) and Keratoconus (DALK and Penetrating keratoplasty). He also performs minimally-invasive glaucoma surgery. Dr. Coleman enjoys mentorship and community service. He received the distinguished Golden Apple Award for excellence in teaching during his ophthalmology training. 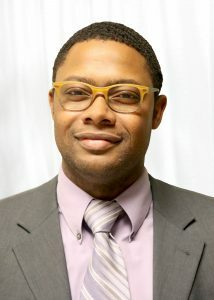 He has also served as a faculty lecturer at Michigan State University and at the Kresge Eye Institute. While in medical school, Dr. Coleman was a runner-up for the Martin Luther King Jr. Community Service Scholarship. Kuumba Long, M.D., F.A.A.O., F.A.C.S. 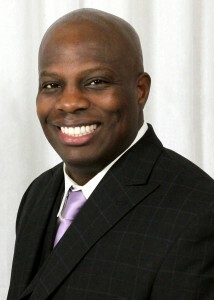 Dr. Kuumba Long is a Board Certified Ophthalmologist and is also a Fellow of the highly regarded American College of Surgeons and the American Board of Ophthalmology. Dr. Long graduated from Louisiana State University School of Medicine with his medical degree and received his comprehensive ophthalmology training at the prestigious University of California Davis Eye Center at the UC Davis Medical Center in Sacramento, California. Dr. Long is available for consultation, surgical and laser care for cataracts, lid abnormalities, glaucoma and pediatric eye disease. After having been part of one of the foremost training centers and largest trauma centers in the country, he then joined the Indiana University Ophthalmology Department where he gained valuable experience before becoming a talented part of the Indiana LASIK Centers team. Dr. David Imes is a native Hoosier, originally from Greenfield, Indiana. He graduated from Butler University with a Bachelor of Science in Chemistry. He went on to attend the Indiana University School of Optometry, receiving his Doctorate of Optometry. He received his clinical training through the Veteran’s Administration Medical Center in Huntington, West Virginia, the Indiana University Eye Clinic in Indianapolis, Indiana, and the Chanute Air Force Base Hospital in Rantoul, Illinois. Dr. Imes has extensive experience in private practice primary eye care, serving patients in his own practice in Wisconsin for over 12 years. In addition, he has practiced as a medical optometrist in large medical/surgical practices in Southern Illinois and Central Illinois for over 11 years. Dr. Imes has considerable experience in working closely with specialists in laser vision correction, cataract surgery, corneal transplants, vitreoretinal disease, and oculoplastics. His unique blend of extensive experience in primary care and surgical co-management allows him to provide outstanding care as well as the ability to communicate well with both patients and colleagues. His goal as a provider of consultative care for patients requiring surgical or advanced medical care is to help patients have an understanding and comfort level with the treatments and procedures necessary to address their visual and eye health needs. 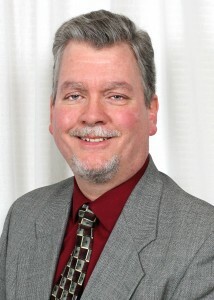 Dr. Ronald Norlund is one of the Midwest’s leading experts in the perisurgical care of eye diseases. He received his Bachelor’s degree and his Doctor of Optometry degree from Indiana University. He served in an externship at the Eye Institute of Central Florida in Orlando, Florida, where he gained extensive experience in pre- and post-operative care. Following Dr. Norlund’s externship, he joined the staff at Bascom Palmer Eye Institute, University of Miami School of Medicine, Department of Ophthalmology. He trained with many of the world’s leading experts while providing care in the corneal, glaucoma, neuroophthalmology and vitreoretinal services. Dr. Norlund has published several articles and has lectured nationally and internationally on the management of ocular disease and perisurgical care, including glaucoma, diabetic eye disease, neuro-ophthalmology, cataract and refractive surgery. In 1995, Dr. Norlund was honored by his colleagues with the President’s Citation Award as Indiana’s Young Optometrist of the Year. In 1998, Dr. Norlund was again honored for Meritorious Service to Optometry. I'm headed off to college and I didn't want to worry about contacts or glasses. I no longer need to worry about running out of contacts!